NSW Premier Barry O’Farrell has conferred the inaugural NSW Human Rights Award on Andrew Penfold, founder of the Australian Indigenous Education Foundation. 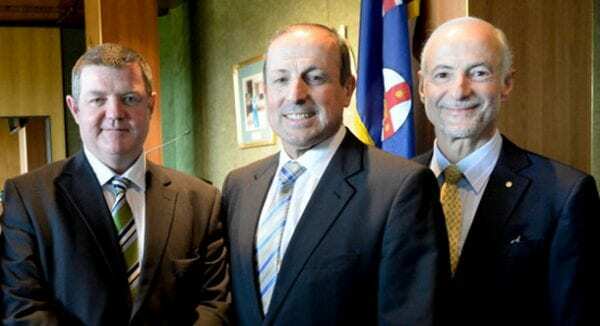 There was more than a touch of Jewish flavour behind the presentation in the NSW Parliament. The award was established in memory of one of the historical giants in the world of human rights…the late Raoul Wallenberg, the Swedish diplomat who single-handedly saved tens of thousands of lives most of which were Jewish during the Holocaust. Ervin Forrester, a Sydney resident who was rescued by Wallenberg addressed the meeting. Also attending the presentation were many representatives of Sydney’s Jewish community including the CEO of The New South Wales Jewish Board of Deputies Vic Alhadeff and Shalom Institute’s Dr Hilton Immerman. Immerman nominated Penfold. 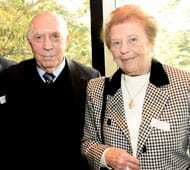 The Shalom Institute, mentioned by Penfold in his acceptance speech, has been responsible for the Shalom Scholarships at the University of NSW. The Shalom Gamarada Scholarship Program offers residence at Shalom College to Aboriginal and Torres Strait Islander students studying at UNSW. The program runs in partnership with: the Australian Indigenous Education Foundation; UNSW’s Nura Gili Indigenous Programs Unit and the Muru Marri Indigenous Health Unit. Alhadeff was one of the three judges. 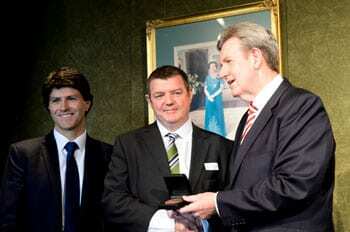 As Premier O’Farrell pointed out it’s not often that three judges reach a unanimous decision.